Happy First Contact Day everybody. Also if you are a fan of Babylon 5 (to your credit), you may know that the 7th April marks another first contact day for humanity - that of humans and Centauri. 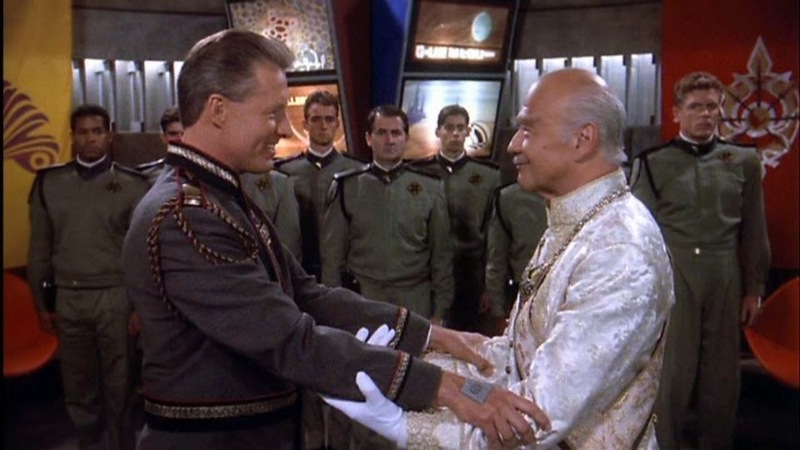 Babylon 5 also celebrates a First Contact Day Around this time. First Contact in science fiction normally represents a sea-change in the fortunes of the human race, an even that leads to a renaissance of technological and socio-political advancement... or in some cases to cataclysm. Often it leads to humanity reaching for the stars and spreading its influence across the galaxy. In Star Trek, it leads to the end of many of humanity's self imposed troubles and basic survival struggles. As time goes on, fans of Star Trek commemorate the event and even here in Britain, the National Space Centre plays host to a gathering of fans who meet to celebrate (this year they are attempting to break the world record for redshirts in one place). I can't help thinking that there's a better way to celebrate though, one that is all inclusive. Here, today on Earth... we have yet to encounter sentient alien life and are not therefore as yet challenged or encouraged in a manner in which such a discovery would present us. As a Christian I do believe we have had a very unique and special first contact - with God himself (something I wrote about two years ago), so I think there are other ways of looking at it. While none of us have an interstellar spacecraft at our disposal, each of us is on a similar journey in life. Our hearts, minds and souls contain the culture we carry to the outside world... and our bodies are the vessels with which we carry them to the universe outside. Go to an unfamiliar place - a new pub, a new cafe, coffee shop, place of worship, library etc or visit a new town and study the environment around you. Follow some new people on Twitter or other social media... preferably someone random and not suggested by your feed. In each of those places try and strike up a conversation with an unfamiliar face - make first contact. You get bonus points if you connect with someone of a different worldview or background. "He said to them: ‘It is not for you to know the times or dates the Father has set by his own authority. But you will receive power when the Holy Spirit comes on you; and you will be my witnesses in Jerusalem, and in all Judea and Samaria, and to the ends of the earth.’"
However you choose to spend the next couple of days, may you live long... and prosper. What things do you think we can do to celebrate First Contact Day? Are you doing anything to commemorate it?